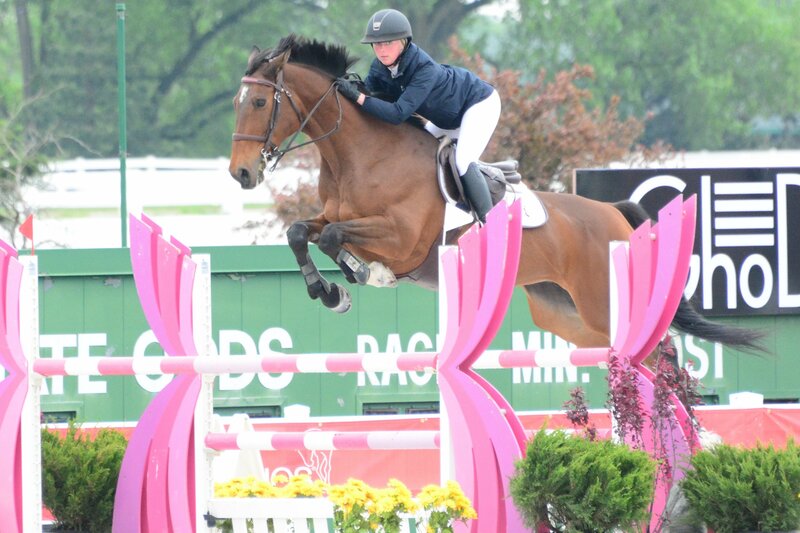 Caelinn Leahy won the $10,000 1.35m Jumper Classic on Splendor and took third with Sonas Douglas . 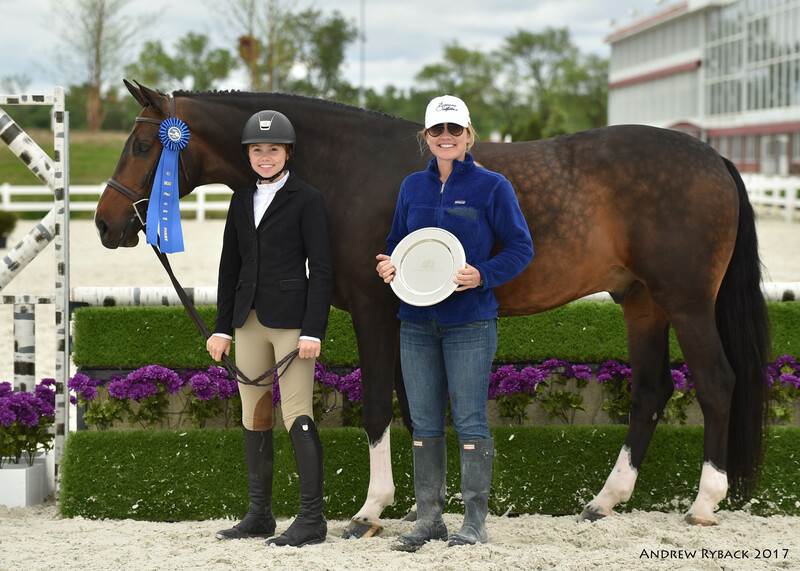 Crete, IL – May 21, 2017 – The Showplace Spring Classic II horse show wrapped up with junior and amateur riders getting their chance in the winner’s circle at the historic HITS Balmoral Park. The weekend was busy with two local shows running in the back hunter rings and the national HITS show running as well, but the massive facility handled it all with ease. The inaugural two weeks of showing marked an outstanding start for the new HITS venue. 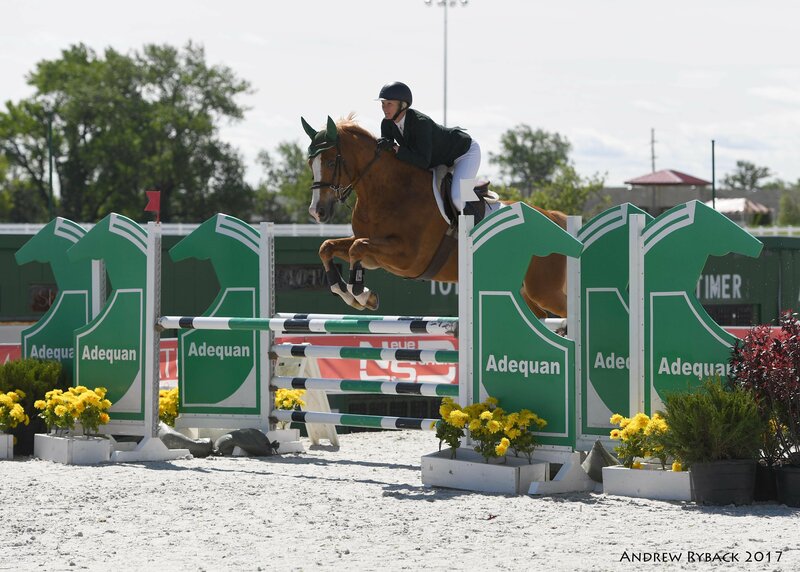 The Grand Prix Ring featured the $10,000 1.35m Jumper Classic, where 15-year-old Caelinn Leahy stole the show by handing in the two fastest times in the class. Splendor, owned by her trainer Steve Schaefer, was one of only two double clear rounds in the class, giving Leahy the win with a blazing time of 37.870. Leahy had a faster time on her second ride, Sonas Douglas, but caught a rail for four faults and a time of 36.350 for third. Hannah Bilton, 18, who rides with Lisa Goldman, was the only other double clear round in the class with Chasinta, stopping the clock at 39.200 for second place. Bilton, Buffalo Grove, Illinois, has put in clear rounds on Chasinta the past two weeks at Balmoral and has ridden the mare now for two years. Earlier in the day, Leahy’s mother, Heidi Schaefer, won the $1,500 NAL Children’s/Adult Jumper Classic on Caladesi. Schaefer put in the fastest time of eight double clear rounds with 30.530 seconds to have her turn in the winner’s circle. Schaefer had a successful winter at WEF with Sonas Douglas but recently handed the reins over to Leahy. Halle Quadracci and Cilke Quality SC were just a second behind with 31.750 to finish in second place behind Schaefer. On Aug. 30, 1936 Lincoln Fields (the facility name before becoming Balmoral Park) installed the DeBrie Camera at the finish line. This instrument recorded 240 pictures per second, and was the first such camera to be installed at an Illinois racetrack. In 1993, Balmoral Park led the way throughout the country in the use of standardized saddle pads. These pads make it easier for the bettors to identify their wagering selections. Kyle Perkovich and Roc My World won the $5,000 NAL Junior/Amateur-Owner Jumper Classic. Photo Andrew Ryback Photography. In the $5,000 NAL Junior/Amateur Owner Jumper Classic it was Roc My World and Kyle Perkovich who set a tough to catch time of 34.770 for the win. Perkovich and Roc My World had a successful 2016 show season, landing the Leading Horse and Leading Rider Bonuses in the popular Marshall & Sterling 1.30m Jumper series. His trainer, Mary Goldman, was the Leading Trainer in the series. Perkovich has a new horse to show this year as well, Tresor Du Perron that he showed for the first time here at Balmoral Park. McKenna Nagy and Calvin top the list in the $500 NAL Children's Hunter Classic, pictured with trainer Natalie Hansen. Photo Andrew Ryback Photography. 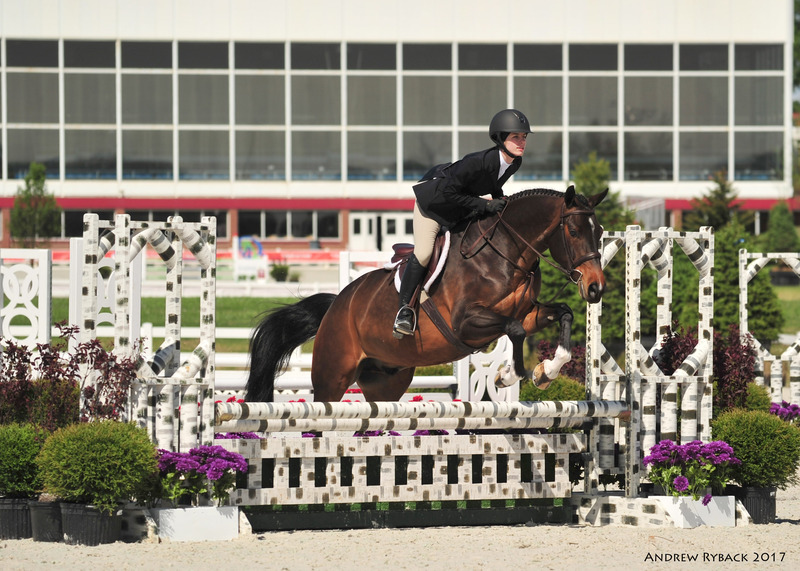 In the hunter rings, McKenna Nagy and her Calvin won the $500 NAL Children’s Hunter Classic. Nagy rides with Kathleen Caya, Oconomowoc, Wisconsin, who has had a successful two weeks at Balmoral Park earning top ribbons in the hunter divisions including the honor of the first Hunter Classic win in Balmoral Park history with Calvin in the $1,000 Open Hunter Classic. 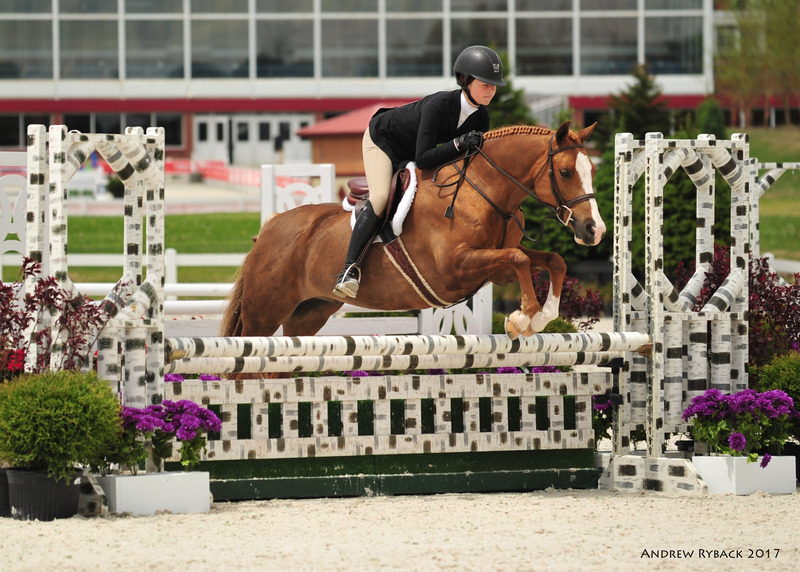 Hannah Hoch of Whitefish Bay, Wisconsin, and Dreamsicle took home the top prize in the $1,000 Pony Hunter Classic. Exhibitors continued to rave about the brand new stalls and rubber mats, excellent footing in the rings, great communication with the gates, friendly office staff, amazing awards and beautiful courses. The climate-controlled grandstand was comfortable and dry when the cold front came through with plenty of food and shopping. The historic feel of the grounds had competitors leaving happy and planning for their return for additional weeks of showing. Competition continues with the Showplace Spring Classic III next week and the Showplace Spring Spectacular Series in June. For more information and a complete list of results, visit www.hitsshows.com. HITS purchased the historic Balmoral Park Race Track in 2016 after harness racing ended in December of 2015. The property has a long history dating back to 1925, hosting famous race horses such as triple crown winner, Whirlaway, and the country's top jockeys such as Bill Shoemaker, Laffit Pincay, Jr, and Julie Krone. In 1991, the track became Chicago's premiere harness racing track. HITS has renovated the venue to add 9 show rings and adjacent warm-up rings with all weather footing and completely updated 23 barns with brand new stalls and rubber mats, while keeping the history of the park alive. The climate controlled grandstand offers space for spectators, vendors, VIP and corporate seating. 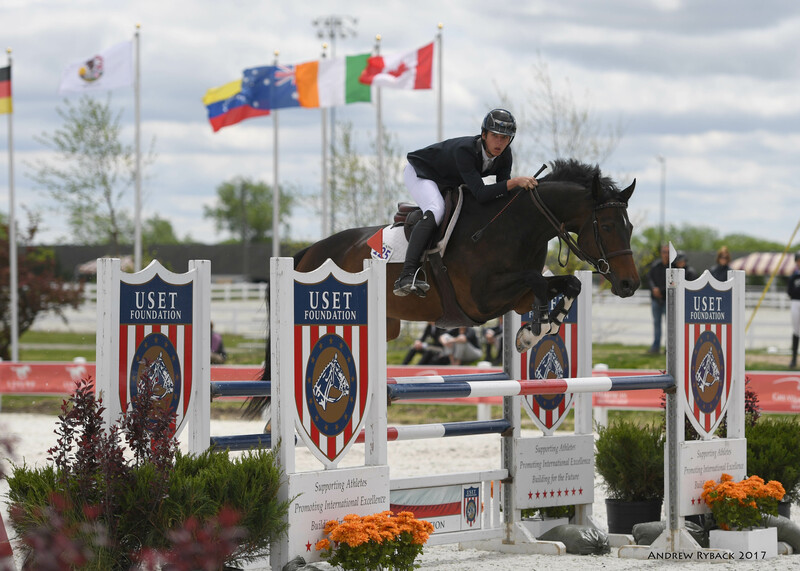 Partnering with Pat Boyle and Showplace Productions, the 13 week show series offers world class show jumping in the Midwest, featuring USHJA International and National Hunter Derbies, FEI classes and the USHJA Children's Adult Jumper Championships. HITS offers $15 million in prize money annually through all of its venues including Ocala, Saugerties, Thermal and Culpeper. For more information visit www.hitsshows.com.